Celebrity news 2baba : Her love for me has made me a more mature and a better person. 2baba : Her love for me has made me a more mature and a better person. 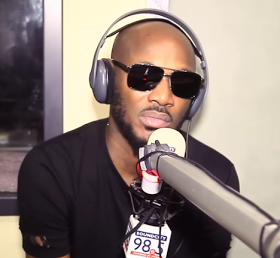 Innocent idibia popularly known as 2baba in a recent interview with soundcity 98.5 Radio, he talked about how he went back to his first love (Annie) and also how he went about deceiving himself and at the later end, he couldn't take it anymore and he was left with no other options than to beg her for forgiveness.. He also opened up about how her love for him has made him more mature and a better person.